Eric was last seen on May 16, 2008 and was last known to be in or near Nogales, AZ. He was last seen wearing a black shirt, black camouflage pants, and black Fila brand shoes. Random thoughts of a work at home mom struggling to maintain an identity of her own. I spent the last week researching the disappearance of Eric Sernando Salguero Franco. Unfortunately, I could find little more than the missing child poster generated by the NCMEC. 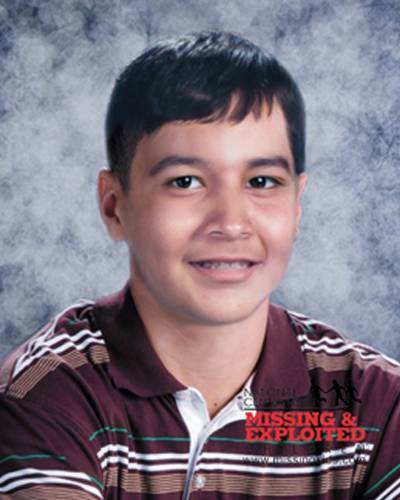 I then decided to research another boy also missing from Arizona, Jose Rafael Henriquez-Diaz. Shockingly there was no information beyond the poster available on him either. I then realized that both of these boys were around the same age and both minorities. Interesting Merly as I do find that some young kids are being forgotten, no doubts about it ! It is over a year since Eric went missing. It is so sad, tragic and maddening so little info in news. New link to Eric's poster. Erick's photo is shown age-progressed to 14 years. I hope this helps as a very sad case. I also hope the likes of Facebook etc might re-ignite the search for this lad. He doesn't deserve to be forgotten. Eric is still listed as missing..